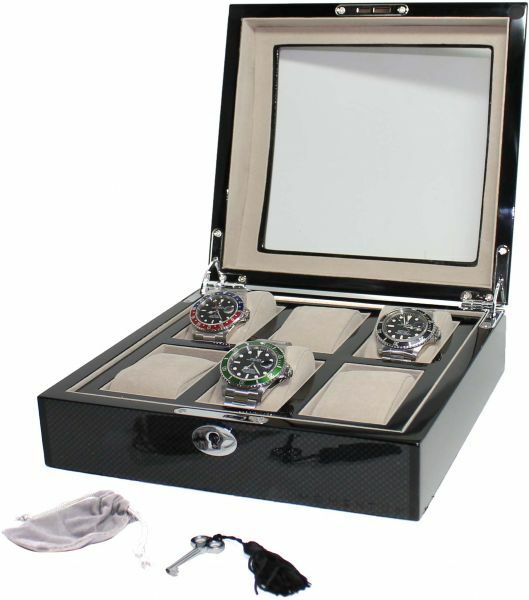 The Alhambra watch box holds 6 watches. The combination of carbon or mahogany and piano laquer gives it a luxurious look you will enjoy. Equipped with a see through case you will always know which of your loved pieces are in which box. Comes with a key to secure your watches.